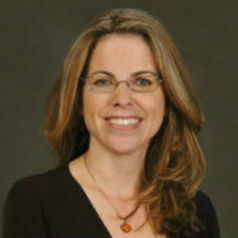 Zaretsky received her Ph.D. from the Department of American Studies at Brown University in 2003. Her book, No Direction Home: the American Family and the Fear of National Decline, 1968-1980, was published in 2007 by The University of North Carolina Press. Her writings have also appeared in The World the Sixties Made: Politics and Culture in Recent America (Temple University Press, 2003), Race, Nation, and Empire in American History (The University of North Carolina Press, 2007), Diplomatic History (2011), The New Republic (2011), Tikkun (2014), and The Journal of Women’s History (2015). Her article “Radiation Suffering and Patriotic Body Politics in the 1970s and 1980s” was published in the Journal of Social History in the spring of 2015. Along with historian Mark Lawrence (UT Austin), she is also the co-editor of the fourth edition of Major Problems in U.S. History Since 1945 (Cengage, 2013). In 2009, the History News Network named her a Top Young Historian, and in 2013 she received the Annette Kolodny Prize for the best paper on environment and culture presented at the annual meeting of the American Studies Association. She teaches classes in Contemporary U.S. History, Gender History, and American Studies. She also teaches a Modern Lesbian and Gay History course, the first of its kind to be taught at Southern Illinois University. Her forthcoming book, a cultural history of the 1979 nuclear accident at the Three Mile Island, is under contract with Columbia University Press.